I love coming to this island. Its people are very different from the mainland I find. Thats all I am going to say on this front. But the island is full of passion, history and wonderful architecture too. Oh and quite old temples. I am here on this trip to find wines at that crucial £10 mark that I talk of at the end of my last tour to Croatia and Slovenia in March. So its a big trip. Will I succeed? Buono Fortuna amico mio. ” I d0n’t like the definition of natural so much.I don’t think its the best definition. I prefer a wine that respects the grape and the terroir. What we do with the wine depends on the year.” She goes on to explain that they use bentonite, a form of clay to clean the wines, but again not every year. The wine has great depth and character, a great deal richer than all other Cattarato’s I have tasted. Next wine is the ” Peregrino” ( the yellow label below). Three days maceration on the skin. This is a red wine version of the Cattarato, but picked at the same time as the first Cattarato. ( 13% alc vol) Lastly Nero D’Avola (15% alc vol) very expressive, much more so than I can remember in the past, this is a very “bright and happy wine,” I remarked at the time. Nine months in tank, ” It’s better for the wine’ says Natalia, ” the earlier you bottle it, it will need sulphites since its not stable.” I say goodbye to Natalia and Tony and drive back down the gravel track with a happy smile on my face. 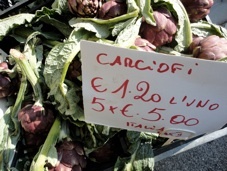 Next stop, Castelvetrano, just north east of Marsala. I know exactly where to meet Gaetano and Sebastiano and as I walk into the bar opposite McDonalds just off the the A29. They spot me and are very surprised to see me. I could not call on the way and had emailed that morning to say could we meet earlier at 1.30pm. Gaetano could not be more different from Natalia and Tony, he is as far away from the ” Natural” set up in Alcamo as one could be removed: he’s a local farmer, hard working and eager to sell to me and he owns 42 hectares of vineyard land as well as olive groves, so a substantial area of land. We race around in Geatano’s beaten up Fiat Punto and he shows me his vineyards, on a road I have travelled many times on the road to Porto Palo, a windy and also beaten up road, that passes across a long valley of flat farmland with a bridge of enormous proportions taking vehicles east to Agrigento and west to Marsala. Under this bridge is where I find myself in the vineyards of ” Donna de Coppa”. 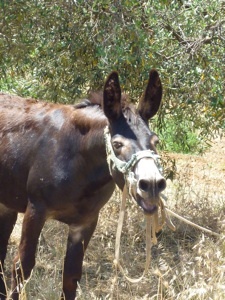 We then visit his olive groves and where he packages the olives and finally his bottling and winemaking plant. Its a middle sized set up, larger than most wineries I work with but in tasting the 2016 wines out a tank I am convinced they are wines that I can sell to my customers at around the £10 mark and they will be enjoyed. They are very good wines indeed. This is what Sicily can offer, some really fab wine at fab prices. 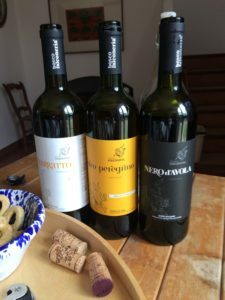 We taste ” Bianco Siciliana” 2016, a blended wine of Trebbiano and Cattarato and probably some other white local grapes out of the tank, then a Vermentino 2016 out of tank, a Syrah 2016 and finally a Nero D’Avola-Syrah 2016 blend. All are bright and expressive and well made. I manage to finally get back to me car ( Gaetano wants me to stay for dinner) and say farewell with another big smile on my face. I have achieved what I came here to do. 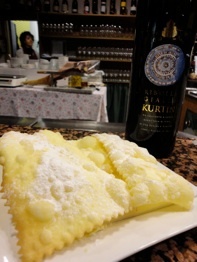 Four hours later at 8pm I arrive in Siracusa on the east coast of Sicily, just in time for dinner. 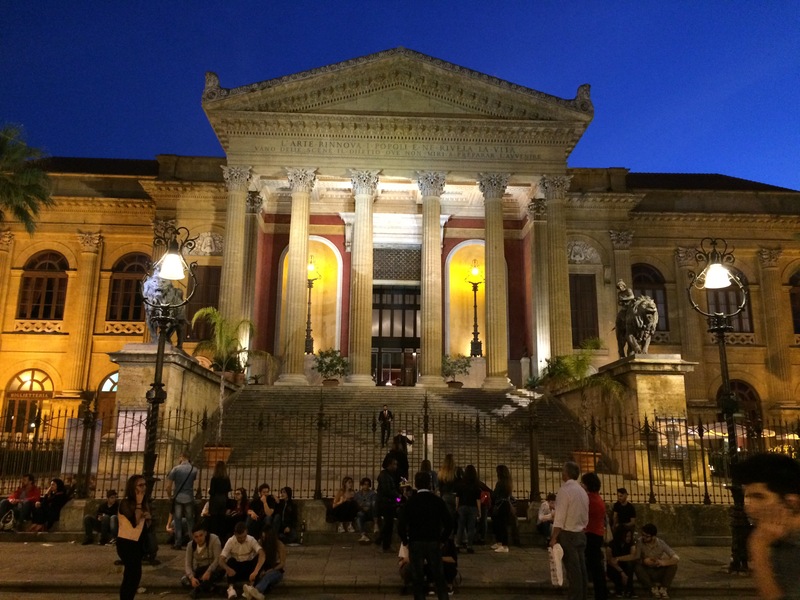 If you have never been to Siracusa go. Ortigia is the most wonderful place and as I discover over the next 2 days the birthplace of civilisation as we know it. 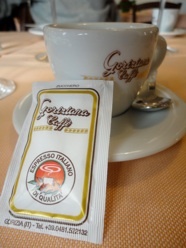 I am here to meet Simona at Cantine Gulino. It turns out that the vines are just at the back of the hotel I am staying at. I meet Simona and Sabastiano Gulino, the family owner who explains to me, after a walk around the Muscato Bianco and Nero D’avola vineyards ( 7 hectares) both famous for being varietals with their origins in this area. This is the home of both grapes. The vineyard has been in the ownership of the family since about 1600 but in the 20th century with the onset of the industrial revolution, the discovery of the the natural springs that meant vegetables were planted and vine ripped out, the vineyard site fell away and very much into disrepair. In 1995 they started to restore the buildings and its now the way it is now. They show me, high up above the floor the original vats where they would press the wines with their feet. The picture below of the arch shows the pipe in the ceiling where the juice would run free. The first wine we taste is called ” Fania”, 60% Fiano and 40% Inzolia, from grapes in ” Contrada Burgio” near to Noto. 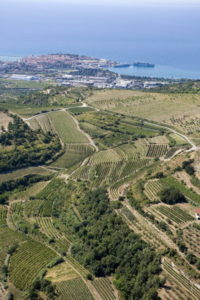 Inzolia is a native grape to this land, the Fiano’s homes is Napoli. Inzolia is ” the king of grapes”. 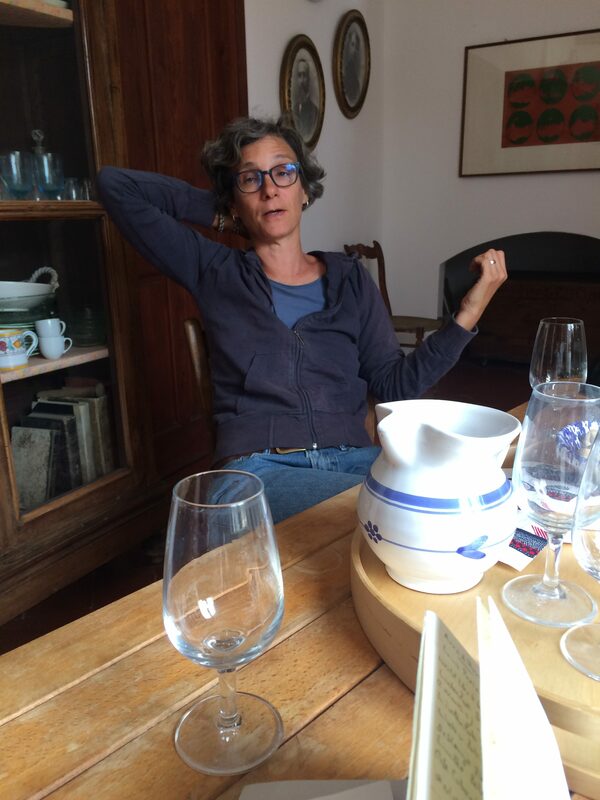 Simona explains,” Its very difficult not to produce a wine here without structure. 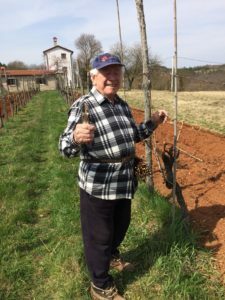 The structure here is bigger.” She means that its the perfect place to grow Fiano and other grapes, the sun shines and it rains very little. The soil is limestone and very fertile. Its all about sun, weather, limestone soil. “The land here was part of the African plate “ Simona goes on. The soil is full of marine sediments full of calcium and this mountain range is called the ” Monte Iblei”. There are three other mountain ranges in Sicily: Madonie near Palermo, Pelottaani near Messina and Etna near Catania. 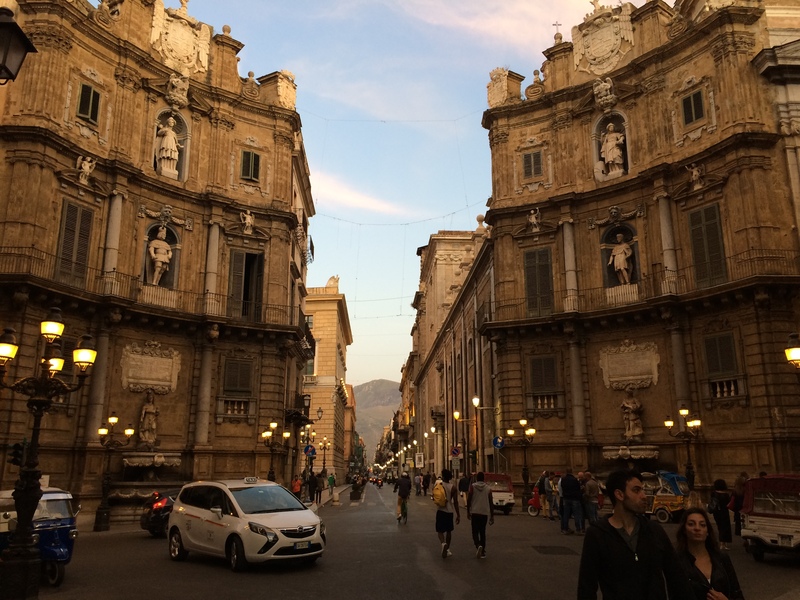 All four form Sicily. Back to the wine. They make 30,000 bottles of Fania, its very dry with great acidity, very citrusy. “ Wines of the African plate are full of acidity and therefore keep fresh and last for at least 3 years in the bottle”. Good news. the grapes are de-stemmed. no skin contact, pressed, 24 hours maceration then seperate tanks for 6 months. Next wine is Chardonnay 100%, the only wine I don’t like. Made for a commercial export market and not indigenous. The third wine we taste is the Albanello 2016 a grape typical of the Siracusa wine region and SE Sicily. Cantine Gulino are the only producer of pure Albanelle in Syracusa, the wine is very different with 24 hours on their skins, very quick and notes are both sweet and savoury with a little melon. I like it. Next ” Fanus” a red wine, blend of Syrah and Nero D’Avola ( 60/40). As I taste this the swifts are flying in and out of the barn where the wines are stored. 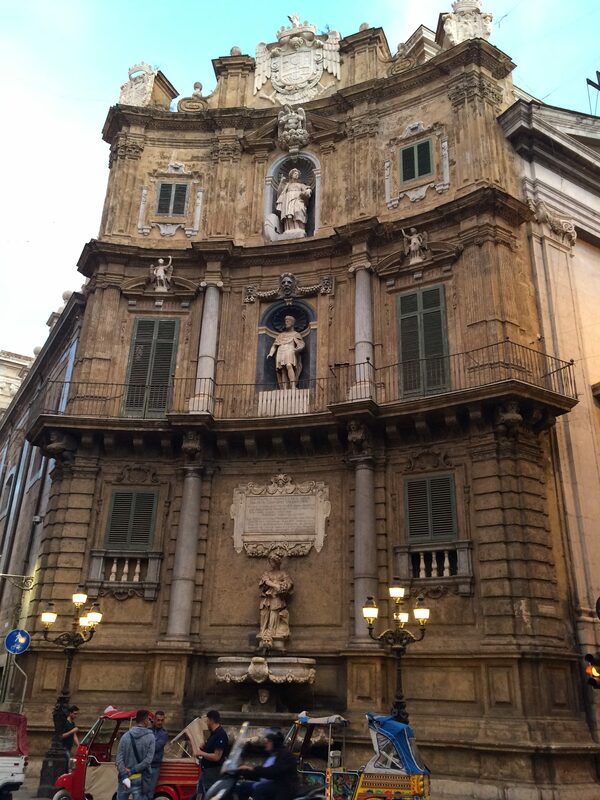 Syrah loves Sicily and Sicily loves Syrah. A grape that Alessio Planeta used to put Sicily on the wine map almost 20 years ago flourishes in this hot, dry dusty land. This wine is macerated for 2 days on the skins, then 6 months in tank before being blended. No oak. Crimson red in colour and light on the rim, 30,000 bottles made, ” simple yet delicious”. Then a wine I tasted in London in January this year, and the reason why I am here, their 2014 Nero D’Avola, 12 months on oak, dried on the vine then a small percentage under the sun. This is a big juicy Nero D’Avola, a really exciting wine that needs time and will age well with plums, rich blackberries and a little sweet spice. 6,000 bottles made, delicious. The last two wines we taste are the Moscato bianco wines from the vines on the property that we walked a few hours earlier ( see picture below). The Don Nuzzo is made by drying some of the grapes under the sun. Its a fresh wine, full of figs and dried apricots. This is indeed a special wine in Italy and Sicily as Simona explains to me. 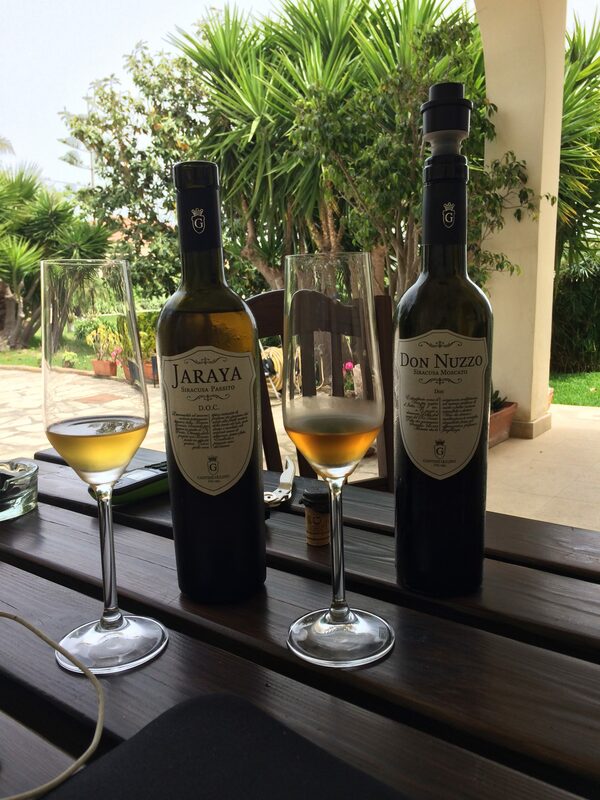 The Jaraya is lighter in colour,as you can see from the picture below. The grapes are totally dried under the sun as well as on the vine, its a great deal sweeter than the first wine and also richer and full of apricots. Supremo Quality. In the afternoon I decide to take a wee drive over to Noto to meet Theresa who I met in London in January when she was looking after the wines from Cantine Gulino and who now runs a new Enoteca called “Enoteca della strada de Vino del val Di Noto”. The business in only a few weeks old but in a great site in a lovely square off the main street running through this gloriously beautiful town. Its not as old as Siracusa, so does not have the depth of time in its architecture, nevertheless the buildings are stunning and its so very well kept indeed. Below is a picture of one of the many churches in the town. 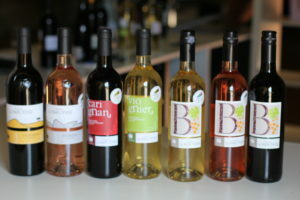 I taste some wines from local producers picture belkow and the Organic wines from Giasira and Riofarra stand out. 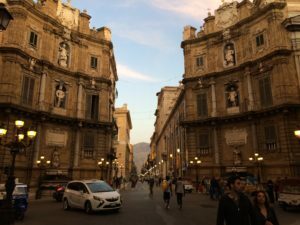 What I am finding is that each grape, whether its Grillo, Cattarato, Fiano, Albanello or Nero D’Avola all show themselves in a very different yet exciting way depending on the where they are grown and due to the various soils in Sicily that are part of the four different mountain regions discussed earlier. This means we have a very exiting prospect for importing wines from Sicily in the future and one could have say 4-5 Cattarato’s that all show themselves to be very different from each other. A drive back to Palermo then the most splendid Passajata for 4 hours around the town, ending in dinner at my favourite restaurant, Piccolo Napoli. 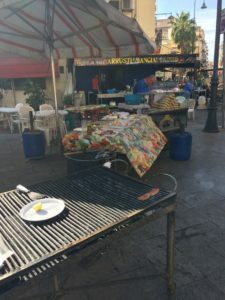 Street food ( Palermo possibly has the best street food in Italy) old town Palermo, The Opera house , what a joy this place is. Following ” Brexit” I felt pretty numb so it was probably a positive idea to a have trip planned to Corbiere, Jurancon and Gascogne planned for this week; let the dust settle whilst I am away. However despite my awful use of the French language all I could hear on most radio stations on the drive from Toulouse to Pau yesterday were the words ” Brexit” so clearly its made its mark here in Europe also. Onto the wines, well with a little bit of Brexit too! I am always on the outlook for great wines at very competitive prices but none more so than now and in the months and years ahead. With this in mind I have been planning a trip to Corbiere for a long time. Corbiere is in very poor part of France but possibly one of the most undiscovered and beautiful in its very arid, rocky and barren way. 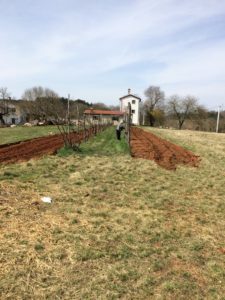 “Domaine La Bouysse” have been making Organic wines for three years but they have been making wine here for three generations. The abandoned and derelict Cooperative in the centre of the village of Saint Andre de Roquelongue is testamount to the past history and the development of the wines here in this region over time. The Tramontane wind from the west thats swoops across the Atlantic was kicking up quite a storm as I approached the town sweeping over the escarpment of the same name. La Bouysse is the name of the mountain, well escarpment, pictured below that protects the vines on the property and emphasises the ruggedness of the region. It really is hard country down here. 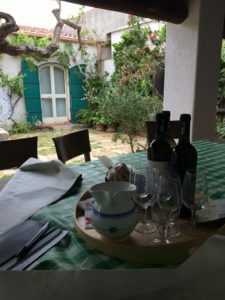 I have been following this wine region for over ten years and after many visits to this unheralded wine area it was time to import some wines from here myself. Domaine La Bouyysse “B” range: a range of wines that really do excite the palate yet that are are at an “entry level”. Their white is made from Grenache Blanc, Viognier, Chardonnay and Muscat Petit Grains. Its a really different wine with some herb and savoury notes and perfect for summer drinking. Their rose is made from Grenache, Syrah and Cinsault. Its dry with that lovely slightly Provencal Pink colour so would go down well in the UK with the rose market. The Bouysse ” B” red consists of Merlot, Syrah and Carignan and is juicy and easy to drink.The Carignan wines are over 80 years old, planted by the grandparents of Delphine, who has been busy in the warehouse all morning as we taste the wines, so this certainly helps the makeup and smoothness of this wine. So three great wines that would sell well this summer and beyond at sensible prices. Also tasted, were the ” Floreal” rose from AOC Corbiere, 50% Grenache and 50% Syrah, again with that lovely very light pink colour as well as the Carignan 2014, made from the 80 year old vines, that needed a little more time and some air so I must remember to re-taste again today since its in my little Fiat 500 ready to go again. 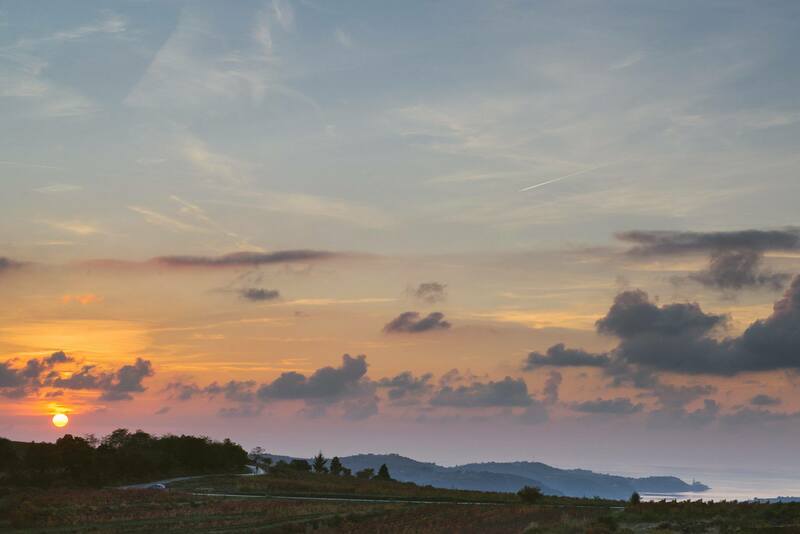 Their wines are also made up of grapes from another appellation, Boutenac, which is about 10 miles north and this wine has to have at least 50% Syrah in its makeup. La Bouysse are a small vineyard, only 120,000 bottles in total so they fit Whirly wines profile very well indeed. I already have a small parcel of their Viognier reserved, which is sold out apart from this small amount so now its up to Mr Whirly to get the wines over from here and into the Whirly shop. I expect that to happen in the next week or two. 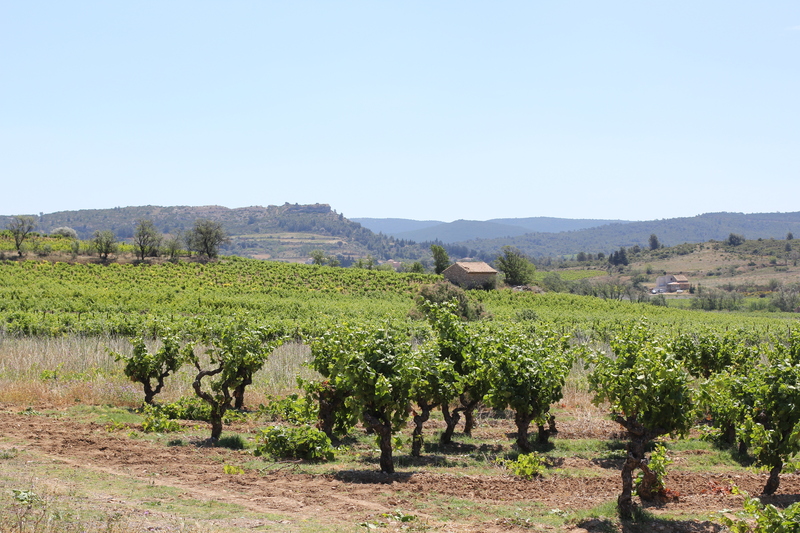 From this little village close to Narbonne I had a 90 minute drive to Limoux, a wine region that even more so remains undiscovered but makes some of the most exciting yet unheralded wines in the south of France. On the way I drove up the Gorge de L’Orbieu, which wound its way up to around 600 metres then down the other side to Limoux and past the remains of Chateau Durfort, one of many Cathar castles built here one thousand years ago. 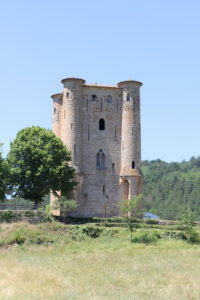 The picture below is of the Chateau D’ arques a few miles down the other side of the Gorge de L’Orbieu. At Limoux, I had already spotted a vineyard I would like to visit, having crossed its path the day before on my way to Lagrasse over and around the country hills and forests that are full of deer and wild boar. Limoux is famous for its status as ” AOC Limoux Blanquette de Limoux” and ” AOC Cremant de Limoux”. I drove with as much speed as my Fiat 500 would allow up the windy road behind Limoux to ” Domaine de Fourn” where I quickly tasted two wines, the “Blanquette de Limoux Brut Carte Noire 2013”, made from 90% Mauzac, 5% Chenin and 5% Chardonnay, hand picked and matured in bottles for 15 months in the cellar. Very, soft and elegant and a truly delicious wine. I also tasted the “Blanquette de Limoux Brut Carte Ivoire 2013″ made from 90% Mauzac and 10% Chenin. Another exquisite wine, possibly slightly sweeter than the Carte Noire but with another really delicate flavour and mousse. I was really surprised by the quality of these wines and I shall look to import some small parcels very soon. From Limoux I had a three hour drive to Pau via Toulouse in order to get there in time for the Spain v Italy match. I shot back onto the autoroute just north of Castelnaudry ( famous for its Haricot beans for Cassoulet) and drove as rapidly as my Fiat 500 would allow me to this city close to Tarbes and Lourdes. Why you might ask was I heading here? Well, just south of here is Jurancon, a region whose wines I have always loved and yet never had the chance to visit. 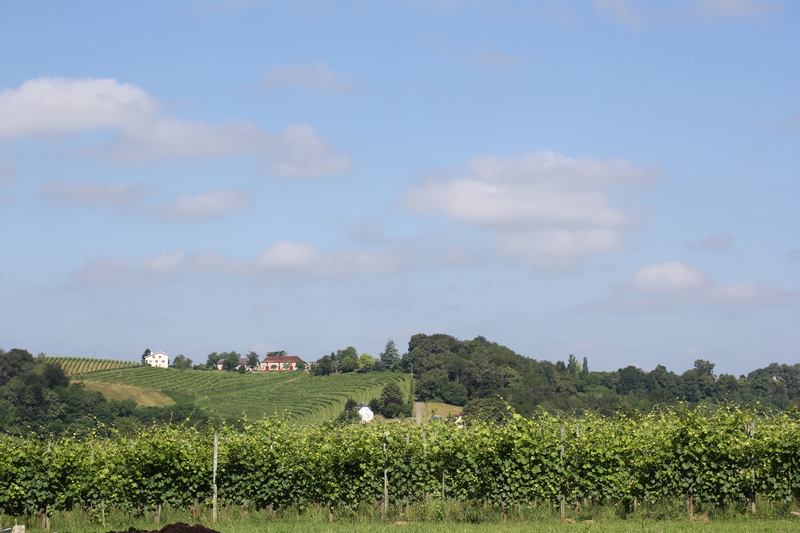 The next morning, after England had failed so awfully against Iceland and the French were loving there own little double edged meaning of ” Brexit”, I spent about 50 minutes driving to this little Appellation that specialises in Gros and Petit Manseng varietals. Only 50 since I had a meeting in Eauze in Gascogny at 1pm and it was already 10am. I found some wonderful Jurancon wines from Camin Larredya and Clos Thou, that are on either side of a vallye from each other and yet which were so so different. I tasted the La Part Davant 2015 Jurancon sec at Larredya that was very expressive and exotic in terms of fruits on the palate. At Clos Thou I tasted the Jurancon sec Cuvee Guilhouret that was so, so different from the Larredya, more minerally and textured and not so full of fruit. Why were they so different? I have no idea since I had to visit Tariquet in Gascogny, wines that I have already imported but I shall let you know their makeup and why they are so poles apart once the wines are in the shop in SW17. 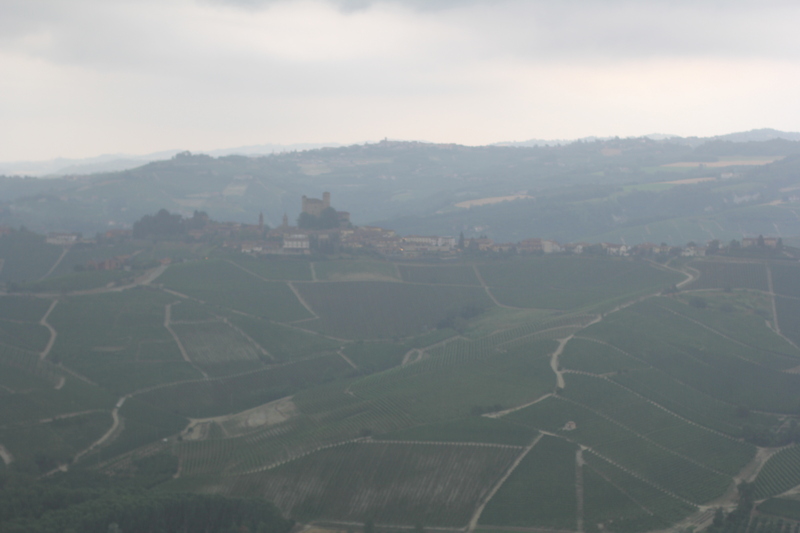 Next wine tour Piedmont and Tuscany, 10th-13th July, visiting Brunello and Barolo as well as other vineyards. On collecting my little Fiat 500 at Lyon airport I whizzed north to Macon and west ten kilometres to “ La Roche Vineuse” a little village just north of Pouilly and Fuisse ( these are separate villages, contrary to most thinking). As I searched for Alain and Sylvain Normand’s property I spotted a man on a little tractor and was about to ask for directions. 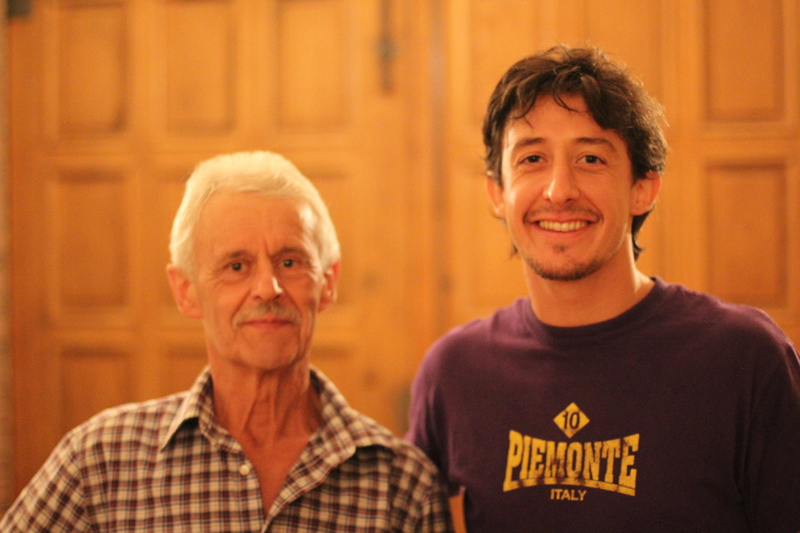 It turns out to be Alain, with a big smile on his face we say “Bonjour “ and we meet back at the house. Its bottling time and Alain is hands on with everything in the vineyard so he hands me over to his wife Sylvain. 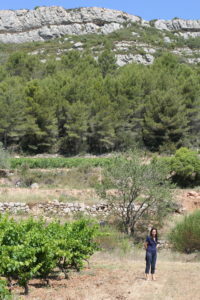 She happens to speak little English and I little French so what ensued was quite a comical yet successful little tour of the vineyards around the village that Alain owns and all in a little Peugeot 106 that covers the rocky terrain like a range rover and at a 20th of the price! What a wonderful vehicle: then again in Nigeria in the Eighties most of the taxis were battered Peugeot 504’s and they went on and on. Alain has 33 hectares of vineyards altogether, divided between here, Pouilly Fuisse, Macon Village ( Salutre and Chaintre) and St Veran. 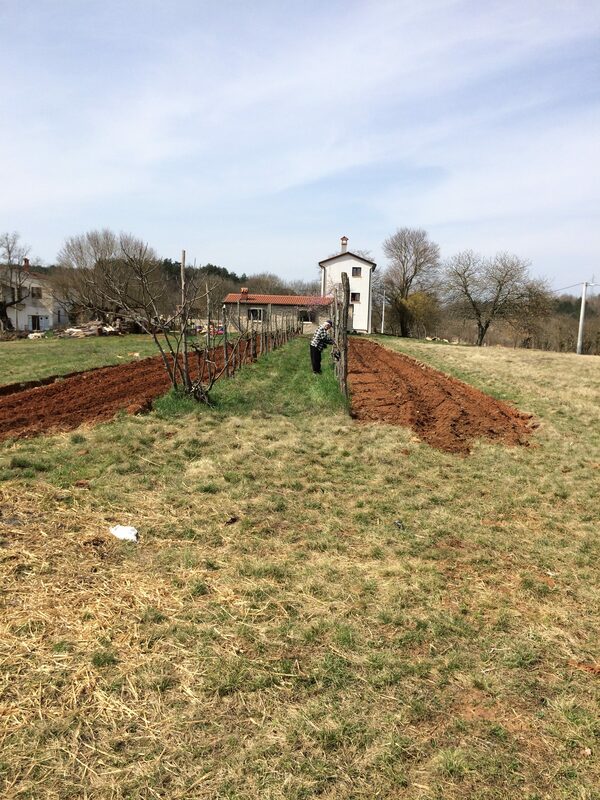 Since 2009 he has been semi organic: farmed under the practices of “ Le Trei Lutte Raisonnee) and Terras Vitis, sustainable and common sense farming of the land with total control and hands on attention by Alain. Here in Macconias they are unique in being allowed to grow two grapes for their red wines; Gamay and Pinot Noir. The Pinot Noir grapes are the first vines I lay my eyes on with Sylvain and there is much grass evident in between the vines here; Alain wants to limit the amount of grapes so he keeps this grass growing during the whole summer. This increases the quality of the grapes too. Its a wonderful sight seeing the first sprouting leaves and some very tiny grapes appearing on the vines: the wonder of the green springing forth amidst a country of rocks, chalk and clay. Its quite the sight. The Chardonnay grapes are pruned using the “ baguette” method, with a twisted semi circle and down onto the same piece of wire. The majority of grapes here in Macconais are Chardonnay. There is a lot of “Calcaire” dotted amongst the vines, big pieces of rock surround the edges too. It has not rained here at all in 2014, so this is a little worrying. The clay plays a big part in retaining the water when it falls so the vines can survive the hard months of the summer. The younger Pinot Noir vines that we come across later had the grass ploughed so that the energy is not take away from the infant plants. From the top of the hills here there was a fabulous view south to Beaujolais. 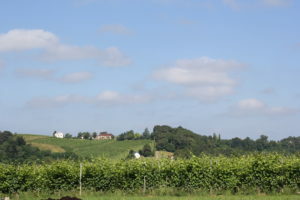 The top vineyard is called “ La Croix de Mortceau”. In the tasting room a few minutes later and after seeing Alain busy in the cellar getting the wines ready for bottling the next day ( Alain is totally hands on and in control of all parts of the winemaking clearly) we sat down and tasted some wines. First up was the Pouilly Fuisse 2011 in steel and very serious it was too; lean, clean, subtle fruit and long mineral tones with some real freshness too. My kind of wine. My kind of Chardonnay. The wine is from a new vineyard to Alain, in 2010 he acquired from Sylvain’s parents. Old vines though. So new but old, which is great. We also tasted his 2010 Pouilly Fuisse in oak Barique. Sensational. It was during this conversation and tasting that Alain explained to me that history of the Premier Cru status. It started during the occupation of France by Germany during the 2nd world war. They occupied burgundy but only as far south as Chalon: they requisitioned wines from the french winemakers, except for their “First Growths”, which they were allowed to keep. Hence the Premier Cru status started but not as fas south as Macon since the occupation of France had not come that far south. Alain explained to me that St Veran and Pouilly Fuisse were soon hoping to get their Premier Cru status. Lastly we tasted Alain’s Gamay from La Roche Vineuse, to me his signature wine in many ways: Gamay from Macon is unique, and its also, as we were to find out, a little more austere and richer than its counterparts a little further south. Twenty years ago, Alain explained to me this wine was simply called “ Macon”. These vines are his original vines, his pride and joy. Now they are vines from his own appellation, the only winemaker in “La Roche Vineuse”. The wine is a joy to drink. Trust me, its what Gamay should be. From here Mr Whirly booted south to Carpentras to visit Campagne Bacchus, a small “Organic’” winery owned by Richard and Diane Bacchus. I arrived just as the sun was hiding opposite Mount Ventoux and a special sight it was too. The little green buds dotted the brown vines and landscape of the Cote de Ventoux land. The wind was pretty fierce yet there is a calm about this place that is serene and beautiful. Diane cooked a simple yet lovely pasta and tomato dish and we tasted their wines. Their Matines 2011 made from 75 % Grenache and 25 % Cinsault, lovely strawberry nose like a Pinot Noir, harvested early and a very long maceration of eight weeks called a Souple where they have the malo and alc fermentation together. 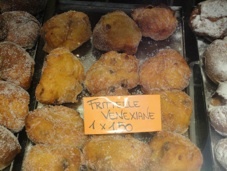 A wonderful trip indeed followed by a little cafe in the square of Beaume de Venise the next morning. Different price points and yet the same wonderful quality shone through, so for me this showed me that larger wine companies can still produce great wines, albeit I must add, occasionally. We then drove up and over the Cascade Mountains and the dramatic change in temperature, landscape, tree coverage and colour was very apparent. The eastern side of Washington state is practically a desert with 8-10 inches of rainfall in a year. All the vines over here are irrigated otherwise they would not survive. Over three hours later we arrive near the Wahluke slopes at Prosser and Milbrandt Vineyards. 2012 Clifton Vineyard, 2012 Clifton Hill Vineyard, 2012 Katherine Leone Vineyard and 2012 Northridge. All were different from each other, full of fruit and yet had some lovely complexities too. That evening, on our way to our hotel we visited Canyon Ranch Vineyard and tasted wines from their Waterbrook, Canoe Ridge, Pendulum, Browne Family and Willow Crest range. No 6 JJ Prum, 2011, Mosel. Yes I guessed right at last! This was one of the days I was really looking forward to. We headed toward Walla Walla, home of great big reds and by that I mean powerful big reds. They are not shy at all. For lunch we headed to Charles Smith’s very trendy restaurant and bar and on the way I met Anna from “Amaurice”, a lovely little vineyard in Walla Walla, who was again another contact from my last trip here in 2006, who make some great Viognier as well as Syrah and Grenache blended and Malbec too. In the afternoon we spent a few hours at Spring Valley winery, which I found of interest more because the drive to it, through fields and fields of dry land wheat and pea shoots. This vineyard is due west of Walla Walla in the flowing hills heading back towards the mountains, but even this small distance made a big difference in rainfall with another 6-8 inches falling here, allowing for crops to survive without irrigation. At the vineyard we did meet the families oldest member Dean Derby (they have sold up to Chateau St Michelle recently) but he still very much works the land at 78 and the lasting memory will be watching him blissfully collect the hay in his old John Deere tractor, as he waves to us as we drove off. A man more happy in his presence and where he was, I could not hope to witness. Later on that day at a tasting of wines from the area at Woodward Canyon on the outskirts of Walla Walla in Lowden, the wines from Dunham Cellars shone through for me as well as Gramercy. Also good were wines from Gramercy cellars, (who I also met in 2006 when I took a road trip to Walla Walla from Oregon and had the most amazing drive along the Columbia river from just north of the Oregon border) and later at dinner at L’ecole 41 we tasted a 2005 Seven Hills vineyard Estate “Perigee” that was by far the best red tasted so far. Why? Simple. It had some bottle age for a wine area that makes big reds, it’s pretty evident to me that’s an essential part of tasting these big fruit bomb wines (as long as they are from the cooler climate regions of this area like Red Mountain and the Rattlesnake Hills, great name!). “ positive criticism “ of the tour and the focus on the commercial wines of Chateau St Michelle was quickly shelved in favour of divine pleasure of the week’s events! What followed was also a wee bit of a shock to the senses: a Syrah Seminar and comparative tasting at 9.15am! No 4 : “ The Bishop” 2010, Glaetzer, Barossa Valley. I bombed on this one! No 5 : Terra Blanca Arch Terrace Syrah, Red Mountain, WA. Bombed again, thought this was from the Rhone. No 6 E. Guigal, Rhone 2009 Crozes Hermitage. Bombed again! No 7 Ramey Syrah, Sanoma, California. I thought this was from Washington so bombed! 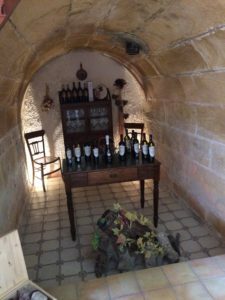 I was surprised in a good way to see that the wine from Red Mountain, a lovely little hill perched on the side of route 82 heading west was something that I had mixed up with a Rhone Shiraz. Yes, I agree this is not very impressive of me but to be honest I was not the only one to make this mistake and this is a good mark to put down for the future: this region although hot and dry and sunburnt can make mineral and acidic Syrah that has those typical Rhone like herbal , thyme and sage overtones. Head for the hills of the Red and Rattlesnakes! On way back from Gordon’s vineyard after a lovely dinner outside overlooking the Snake River, we pass once again the circular fields of vegetables that are irrigated with a long arm on wheels that pivots in the middle of the field. All around is brown. The next morning, I boarded our twin-prop plane back to Seattle and the circles of green make such a picture as they spread out below me across this desert like country. 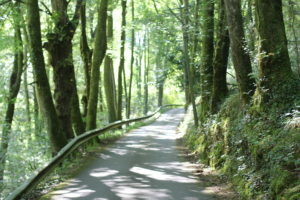 Its certainly country that excites and enthrals here. 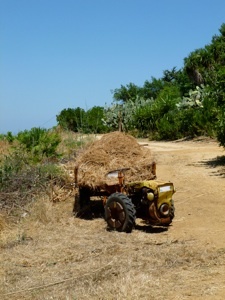 Sourced on my “ Lunar de Miele” near Alcamo which is a 40 minute drive south from Palermo, on this tough and brutal island, we discover Bosco Falconeria one of the first “ organic” vineyards here. The drive is fun. Very good fun. 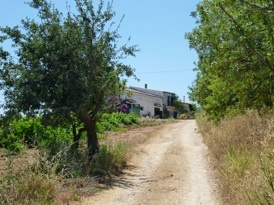 Windy hot roads take us up into the hills near Alcamo and then from there we head along a red dirt track into olive groves and rough and dry farmland that is simply hot! Really hot! Its over 40 degrees outside. 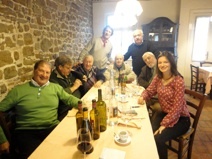 We tasted some lovely wines during the lunch, most joyous of all was their Cattarato 2009, which I found very complex, full of layers and different mineral tones and a pure delight to drink. “ The Catarratto grape from our farm used to be taken in casks by cart to the little port town of Balestrate, where it was sold to make Martini, Carpano to be made into vermouth. It was usually about 17-19% alcohol. 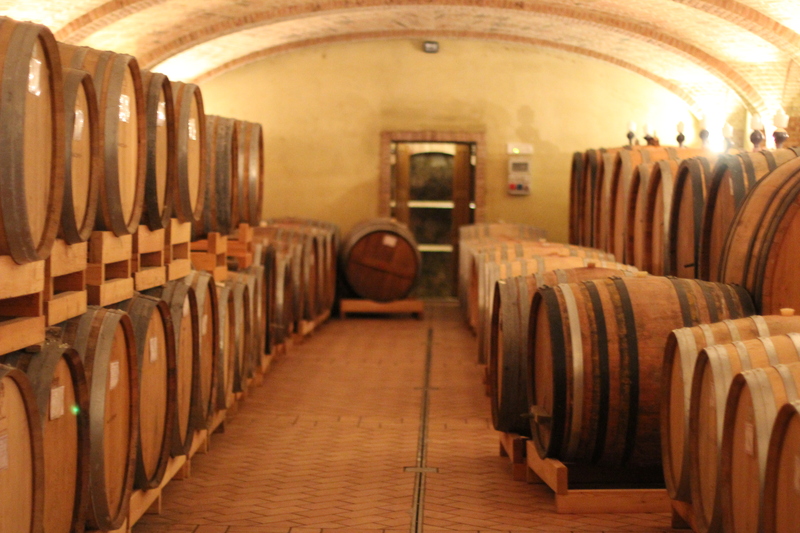 The production of lighter wines for table wine through a change in pruning and harvesting only became really important in Sicily in the last 50 years. 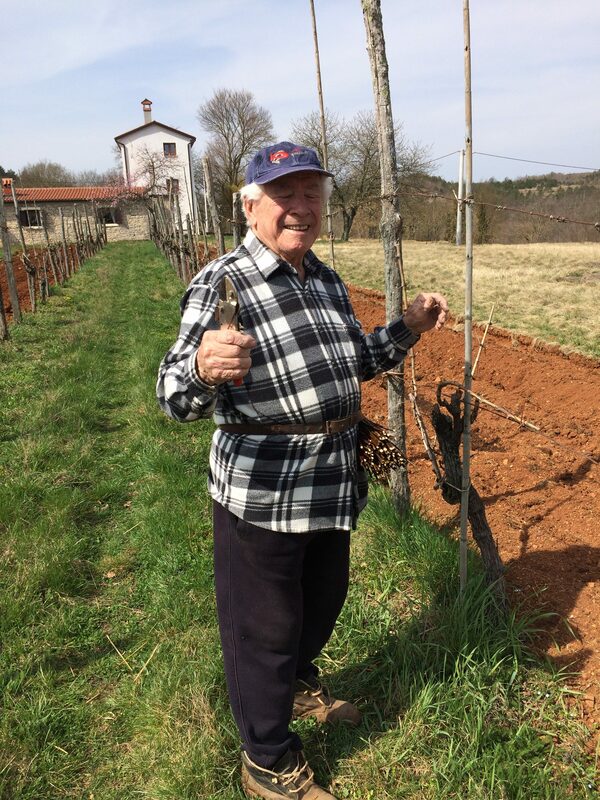 Tonino took over the management of the farm in 1966, but none of the vines that were here then are still in production. Most of our present vineyards have been planted within the last 20 years. The usual productive life span of vineyards in Sicily is about 25 years, and they are replanted only after an interval of about 5 years. 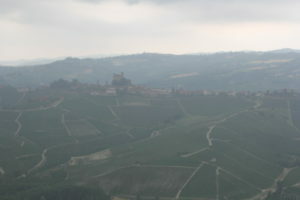 The grapes are the Catarratto comune and the Catarratto extra-lucido. 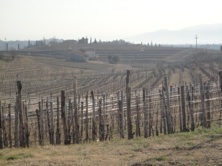 Training the vines on canes is a traditional practise in this area, known as “all’alcamese”. 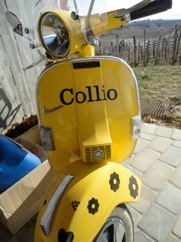 Mr Whirly discovers the joys of Collio in the barren and stark hills of Fruili in the most North Eastern point of Italy. Its Friday 17th February and “ Little Miss” and I are whirling through the naked hills of this fascinating wine region, in our rather speedy Renault Clio, looking for a little Trattoria, recommended to us a few minutes earlier by Marzia, the very hospitable wife of the owner at Buzzinelli vineyards, just outside Cormons, in the heart of this undiscovered and unique wine region. 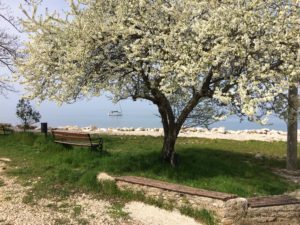 When in Italy drive like the Italians I say, as we whisk around the country corners in search of “ Trattoria Dal Mic” in a little town called Mossa. 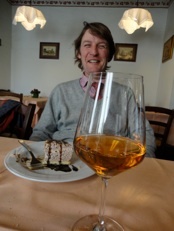 What a fabulous restaurant this turned out to be by the way: amazing Pumpkin Gnocchi, beef and the Malvasia from a local winemaker was sublime: at the end we joined a large table of 10 or more Triestian gentleman, in their 70‘s and 80‘s, and laughed the afternoon away. Old people are so fascinating! Little Miss ordered Grappa. 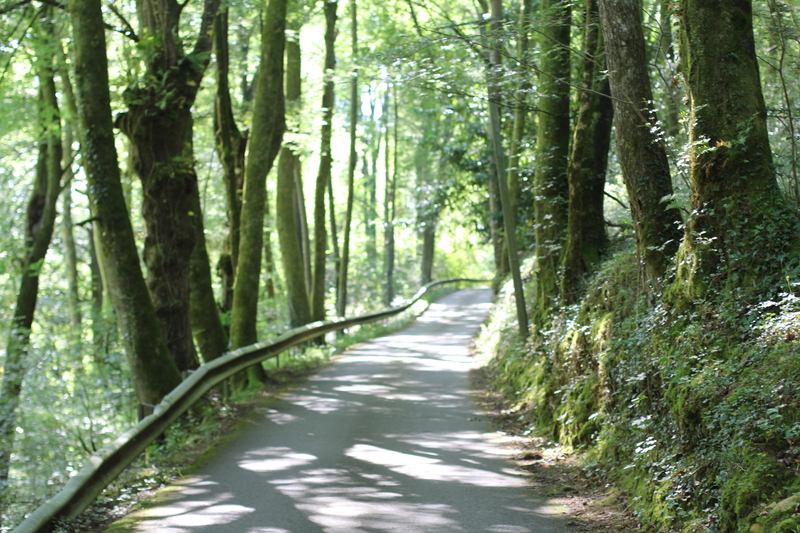 It was a scary journey back to our Picech vineyard, where we were staying. 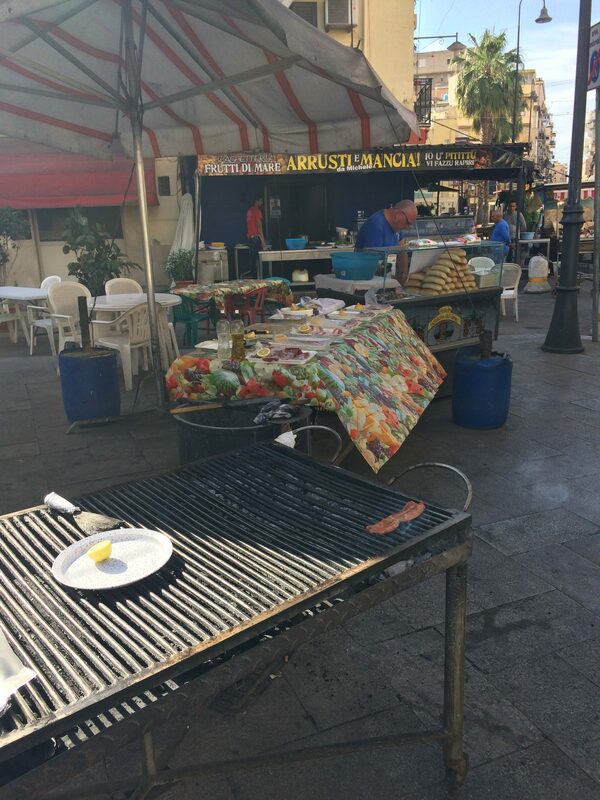 so the local farmers were in the process of killing a pig and making Salami as well as Prosciutto. That night they were going to to cook the very large liver with onions for their celebratory dinner. Buzzinelli are a third generation vineyard, started in 1937, originally the family were from France. We were only able to taste one wine in the cellar here since sadly all the wines were sold out. The Traminer, same as with Gewurtz on the front, was beautifully made. They also make, to taste at some point in the future, Sauvignon Blanc, Cabernet Sauvignon and Merlot. 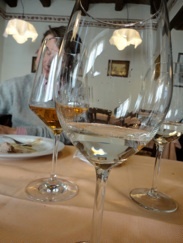 The Ribella Gialla wine steals the show; a grape that dates back to the 13th century, cut in the fields of Slovenia where they call it “ Gold Ribella” since the fields turn to gold. They also make a Picolot wine, made in small production, hence the name since not all the flowers turn to berries. More on this when I get to taste it. Its apparently rivals a great Sauterne. 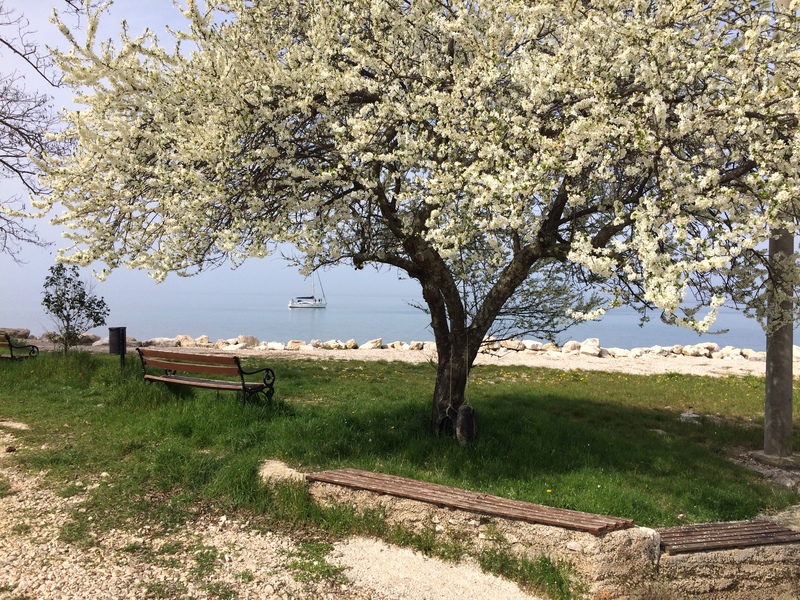 The next day we drove to Trieste and then turned left into Slovenia to see what we could find there.